When you think about your building’s interior, you’re probably thinking about general maintenance repairs, like fixing doorknobs and repainting. You’re probably not thinking about the damage that could be caused by an old, leaky plumbing pipe. Unfortunately, a leaking plumbing pipe can cause extensive damage in the form of ruined drywall, flooring and ceiling tiles, forcing you to make unscheduled interior repairs. 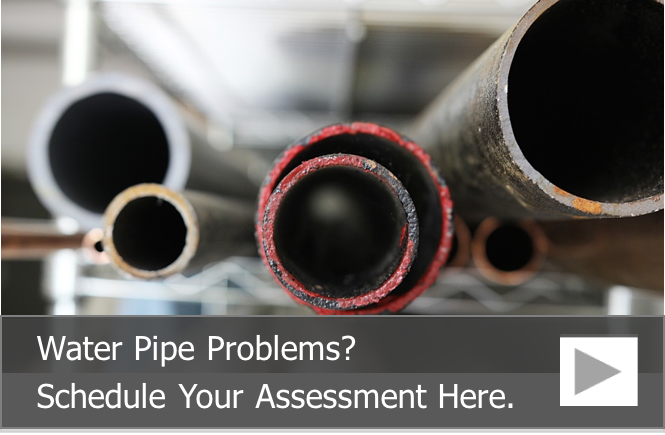 The age of your plumbing pipes will tell you a lot about their condition. From the moment they are installed, plumbing pipes start to deteriorate. This is primarily due to water pressure, water chemistry and the material of your plumbing pipes. For example, high water pressure puts an increased strain on plumbing pipes and can contribute to leaks and blowouts and seams and joints. Acidic water can slowly dissolve metal plumbing pipes, creating pinhole leaks. Even small water leaks can cause a significant amount of damage to the interior of your building, especially inside walls. The most common types of damage include mold and mildew infestations and damage to finishes and structural components. If the water leak is severe enough, the damage can even occur on multiple floors. The first stage of damage is mold and mildew. Leaking water from plumbing pipes sits on the surfaces inside your walls. Within a short period of time, mold and mildew start to grow, and if given enough time, you will begin to see black or dark spots on the drywall in your hallways and/or on the walls inside tenant units. 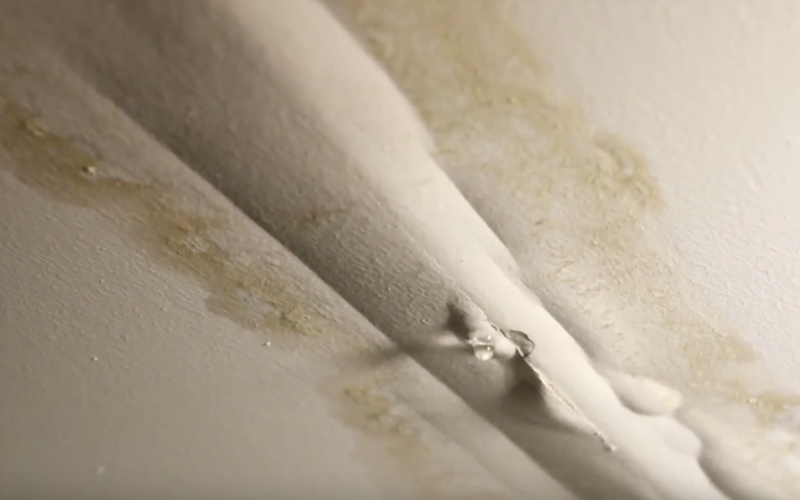 As the water continues to accumulate from the leaking pipe, it drips down walls, accumulates on ceiling tiles and creates puddles on the floors of your Chicago building. This can swell and soften drywall, causing it to crumble. It can soak and soften ceiling tiles until they fall from the ceiling, and standing water can rot carpets and cause hardwood and laminate floors to swell, buckle and warp. If the water sits inside your walls for an extended period of time, it can rot wooden building supports and studs, causing a loss of structural support. Once this happens, the walls have to be opened, and the damaged studs and supports have to be removed and replaced. If your building does experience extensive water damage from a slow leak, you may have to levy a special assessment on your condo or co-op residents. This is because insurance companies don’t typically cover water damage that is the result of a slow leak. In the insurance company’s eyes, slow leaks are the result of improper maintenance and a lack of repairing and replacing plumbing pipes in a timely manner. Thankfully, there is something you can do to prevent water leaks and damage now and in the future. If your plumbing pipes are nearing the end of their useful lives or you’ve noticed a gradual increase in your water bills, it’s time to start thinking about the future of your Chicago building’s plumbing system. At Nu Flow Midwest, we can evaluate your building’s plumbing pipes, give you a detailed report on their conditions and tell you how much life you have left in your pipes. We can also give you an estimate on pipe lining, which is a trenchless way to rehabilitate your pipes, prevent future leaks and water damage and extend their useful lifespans. To learn more about trenchless pipe lining in Chicago, call us at 815-790-9000.